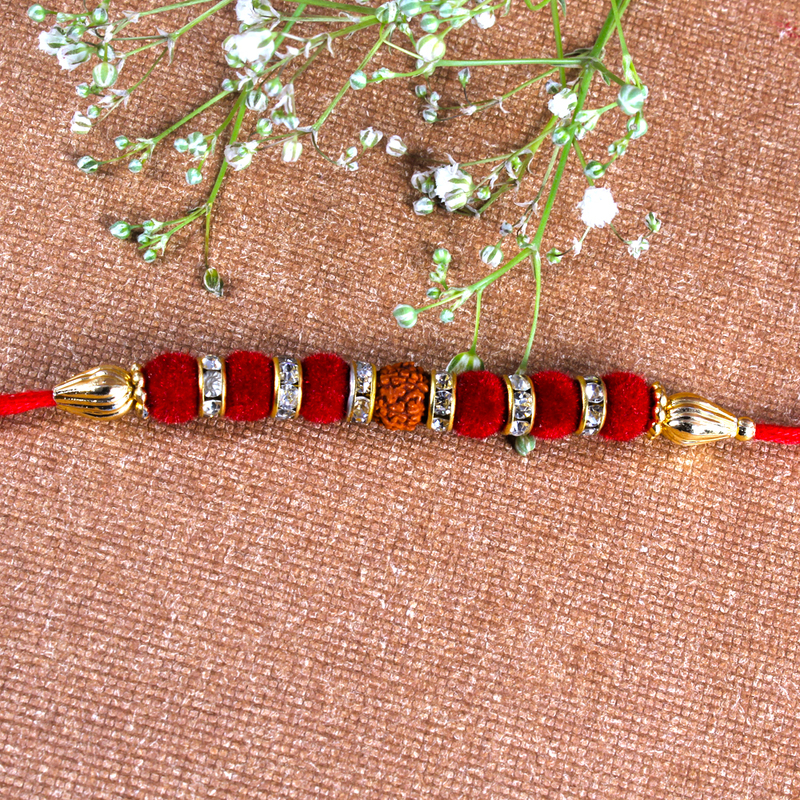 If you have been looking for something ethnic yet cool to surprise your brother with on Rakhi, look no further than this exclusive combo. 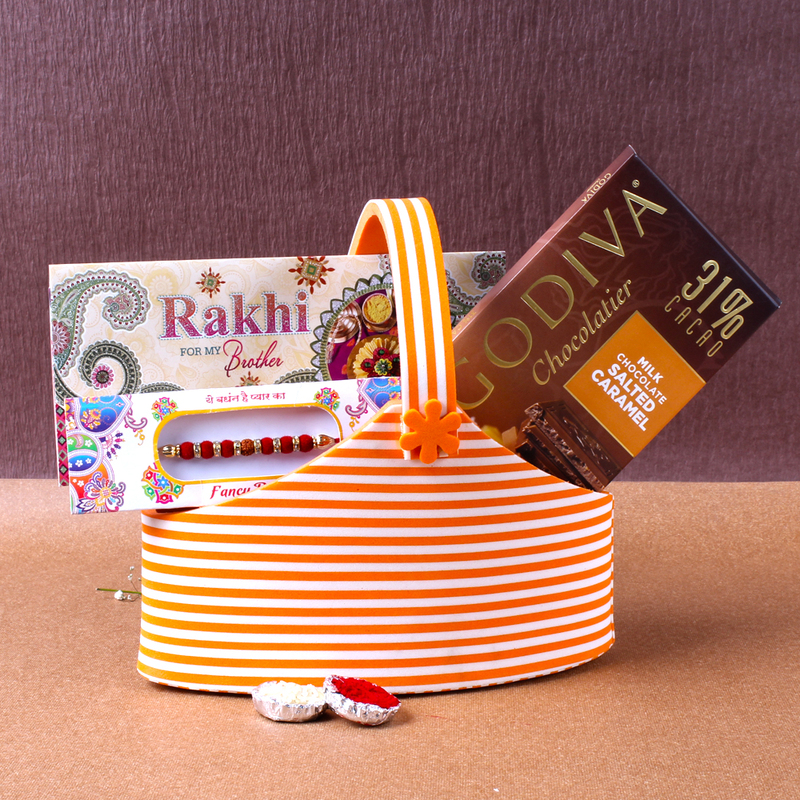 Your brother will be surprised with this designer Eva basket filled with Fancy Rakhi with Greeting card, Godiva Chocolatier in Milk Chocolate Salted Caramel will definitely bring out the foodie in him to the hilt. 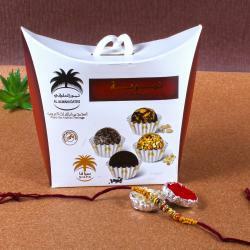 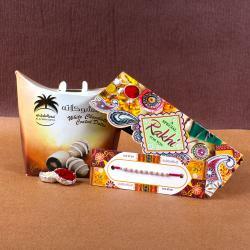 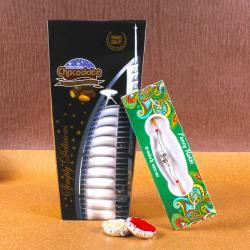 This Rakhi gift pack is sure to bring smiles on the faces of all brothers this Raksha Bandana. 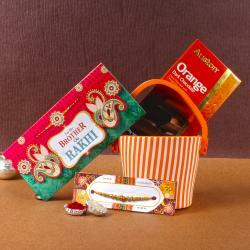 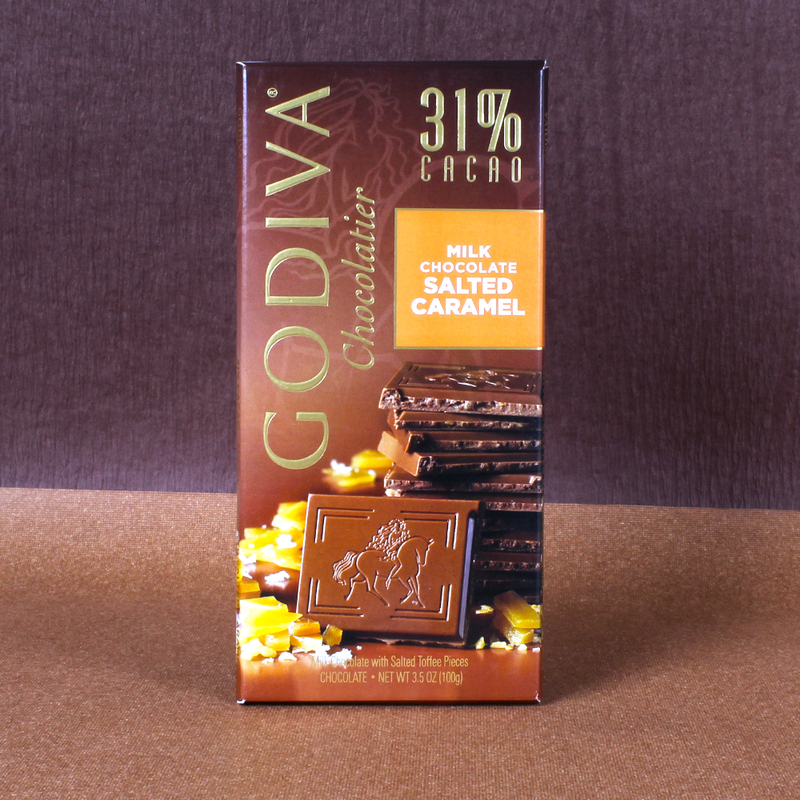 This beautiful Rakhi Combo includes: Designer Eva basket filled with Fancy Rakhi with Rakhi Greeting card and Godiva Chocolatier in Milk Chocolate Salted Caramel one Bar ( Weight : 100 gms along with Packet of Roli Chawal.